This is a first in a series of Questions and Answers with former TEAM members. People join TEAM from all walks of life. They may be college students, young professionals, business owners, homemakers or retired. The purpose of this series is to shed light on the details between joining and leaving. We’ll answer questions such as, “What attracted you to TEAM in the first place?” and “What doubts about the business ultimately prompted you to leave?” In addition, we’ll learn how much time and money was spent building this business. Joining TEAM: How the person was prospected and what attracted them to join and stay in. Working The Business: How dedicated the person was to the business. Concerns About The Business: How the person began to have doubts about the business or its leadership. Last Words: Lessons learned from being in TEAM and advice for current and former members. First up is Katie, who previously shared with us the story of her co-worker’s sad tale with TEAM/MonaVie and TEAM/LIFE. I was recently graduated from college working as a contract employee in a corporate headquarters, living with my mom and trying to move out of the house. I was also unmarried, but in a long-distance relationship which meant I was going out of town about 2 or 3 weekends a month to see my boyfriend. For the record, I am also a Democrat and staunchly non-religious. The person I shared a cubicle with first approached me about TEAM. He offered me an EMV energy drink at work which I drank and was pleasantly surprised by. A few weeks later, he asked if I wanted to get together – and I had no idea what he wanted to talk about, he just seemed like he wanted to hang out – and since I was living with my mom at the time, his insistence on coming over to my house was very weird. We finally settled on dinner out, and after an hour or so of normal conversation, that’s when he sprang TEAM/Monavie on me. The reason I eventually got “fired up” about it was because someone told me I couldn’t do it – they were playing to my personality and they hit it on the head. As soon as someone told me I might be one of the ones who failed, I made up my mind to at least TRY, so that if it didn’t work, they couldn’t blame me. Once I was more involved, it was specifically the idea of being job-optional. As my relationship with my boyfriend got more and more serious, the dream of being able to afford a beautiful wedding and then being able to stay home with our children was very appealing. MonaVie. EMV, the four juice blends (Active, Immune, Original, and Pulse), and in the midst of my time they released RVL, the weight-loss foods. How much money was told you could/would make and in what time frame (or implied)? I was told you could be job optional in 3-5 years. The PC always talked about Tim Marks who was the fastest Diamond ever, I believe his time frame was 39 months to go from sign-up to Diamond (or so they say). To accomplish this, you would have to go Power Player every three-month cycle. Haha. No, because no one would ever tell me what they were making. When anyone asked, they would get very shady, and just talk about the amazing amounts of money that it’s POSSIBLE to make. But honestly, I have no idea what anyone in my upline made from TEAM or Monavie. Constantly. And it makes sense – of course the idea of a residual income that you don’t have to manage is appealing. The typical promotion was, “It worked for Ray Kroc with McDonalds, by building a duplicatable system (yellow and red, drive thru on the left, bathrooms on the right) that could be copied by the people underneath him, and he became a trillionaire, able to sit on a beach while his empire carried on without him! And he left his family trillions! Don’t you want that? MonaVie offers that.” We heard this at every Tuesday Open Meeting and every plan we showed. Yes except one when I had the flu – and I actually left my house and got halfway to the meeting before turning around. We had “business launch” meetings a few times a month – usually once or twice on a weeknight at someone’s house, and then a big one the day after the monthly seminar when people were the most “fired up” and we would make lists of people, make calls, and set up plans. I showed plans on weeknights – but never a Tuesday, because I couldn’t miss an open meeting! They had a point – especially Forbes – but I tried to block it out because that’s what my upline said to do. Google. When they first mentioned the Top Leadership Guru statistic, I promoted it to a few people and then finally did my research and figured out for myself what a sham that website was. That led me to look at other websites like this one and the Team Scam website as well. I don’t recall anyone on stage mentioning a specific critic, but they would talk about the criticism they recieved while showing plans and such. I remember a Dan Hawkins CD where he said he showed a plan to a guy who didn’t sign up because of things he’d read online. The point was, Dan Hawkins claims to have proof (his upline) that this business works, people who would gladly come meet with the guy and tell him it works, while the “nameless, faceless people” on websites are too cowardly to believe. Personally, I would love to go with that guy and sit across from Dan Hawkins and be the proof for our side. No – none of my friends joined and if I had shunned them all I would have no friends left. No, fortunately I was able to maintain a healthy work/life/TEAM balance. Mainly, I suppose, because none of my family or friends got involved or really approved of my involvement in TEAM. Mostly work on maintaining my long-distance relationship, volunteering for a local hospital, and of course, my 40/hr week job. No, I can honestly say I never thought about it. I always had doubts. I wanted to believe that it was true because I wanted to believe the people I met in TEAM, and I wanted to believe that I could afford someday to be job-optional. Do you know your group’s attrition rate? Upline and downline groups? I do not. During the time I was involved, there was only one other person I saw who got involved briefly and quit – there were always people who were less “committed” so I may not have noticed if their attendance was just poor or if it had dropped off all together. How many were ‘on system’ (and got off) out of total numbers in group during the 6 months time frame? Another question I couldn’t really answer. I was really low on the totem pole, and I also did not recruit anyone, so there wasn’t anyone I was personally keeping track of their involvement. In our group I felt it would have been considered rude to ask where someone was in their progress towards power player – “Do you own the Top 50 yet?” would be almost the equivalent of asking a woman you don’t know “How far along are you?” It was sort of something you would only discuss with your sponsor. At the last Major I went to, I heard some very disturbing things from the policy council leadership that I strongly disagreed with. I won’t recount them here, but they were just plain hateful, and worse, ignorant. I looked around me, and not a single other person seemed to hear anything amiss. What could I do? Question it and be told I wasn’t a winner? Or sit by and let the PC feed rubbish to its faithful followers? That was when I knew in my heart that I did not belong there and would never succeed. I received a scathing email from a man I had prospected, calling me a thief, a cheater, and threatening to call the police on me. Although his reaction was over-the-top, to this day it makes me sick to think that some of my close friends that I had shown the plan to might be thinking the same things about me. I actually sent a copy of that email to my sponsor when I told him I was quitting. Considering I was only involved for 6 months – way too much. I missed out on some valuable time with my family and friends. Yes. It shows they do not practice what they preach, and that they are dishonest to their loyal fans. Gave them to my sponsor to give out to whoever he wanted. It was about $900 worth of tools, and he paid me back about $120 for them. Never. Looking back now, I feel so much shame and guilt for having bought into such a corrupt system, and wasting so much time and money, and most of all embarrassment that my friends must think I am an idiot to have believed it. If something seems to good to be true, it probably is. Never be a part of something where dissent is outlawed. Don’t be afraid to ask questions, and if you don’t get answers, run away screaming. Join a community of people who understand your struggle, like this blog. It helps SO MUCH to know there are other people out there who made the same mistakes and who feel the same way you do. Together we can help keep people truly free – free of the brainwashing and dishonest ways of TEAM. For one day, take the policy council off its pedestal and ask the hard questions – look at yourself and say, how am I spending my time? How much have I invested, and how much have I made? Is my lifestyle with TEAM really sustainable? If you don’t like the answers, or worse, if you don’t know the answers, please reconsider your commitment to that organization. I would totally attend an AMTHRAX convention. Special thanks to Katie for participating in the first Ex-TEAM Questions and Answers. If you’d like to participate in this series, answer the questions on this page and send me an email. I would so totally attend an Amthrax convention if my wife & I could find a sitter for my girls. The cool thing is our convention would be about having fun, sharing interests, maybe camping, or at a nice lodge, & no formal, egotistical blah blah blah! I agree on the Amthrax convention…lol. That may some time become a reality. Excellent post and too agree with Webelieved…great information to help with others to make a better informed decision. I am curious though, some other questions. How much money was Katie either told she would make and in what time frame (or implied )and did they entice her with what they were making? Was their promises of passive, residual, ongoing income promoted? What was her groups attrition rate? How many were ‘on system’ (and got off) out of total numbers in group during the 6 months time frame? Way to go Amthrax and thanks a bunch Katie for your efforts, honesty, and great advice! I’ll followup with Katie to get some of these followup questions answered. I’ll incorporate them back into the original post. I’ve updated the post with Katie’s answers to Speak Your Truth’s questions in the previous comment. Thanks again to you both Amthrax, and especially Katie for her honesty! Whee! It’s really great to get some of this stuff off my chest. Thanks all for reading and being supportive as always. THIS is what a community is! I’m looking forward to more posts like this to learn more about other people’s experiences. Thanks so much for sharing! I would also attend the Amthrax function in a heartbeat! $2K in about 6 months?! Do people feel that’s about the norm for the level of involvement Katie describes for any of these scams? I mean to say are they (Am or Mv) around the same in that regard? Was Katie perhaps losing more faster by being involved in both TEAM and Mv at once? Outsider- I lost about $2000 in 8 months only attending about 60% of the meetings and often car pooling. More like slavery really. If TEAM were a socialist system, you wouldn’t have ended up empty-handed. And the Amthrax Convention idea really isn’t anything to laugh at. I really think we ought to seriously consider getting together. And why not do it on a weekend that Teamscam has a convention? Why not do it in the same city? As Orrin used to say “All it takes for evil to prosper is for good men to do nothing.” I think we should take Orrin’s advice and have a convention in the same venue to share the truth. Imagine how much time and money all of us would have saved if someone would have been bold enough to hand out literature near an event? Manhy of these people are so brainwashed they will never check the internet on their own. But what if we had a simple leaflet that just gave a few facts and listed the website to get the whole story. Think of how many kids would get to know their parents again. Think of how many people we could save from running up credit cards on tools? I really think we ought to consider it. I know several people that would definitely be willing to get the truth out and help others. This was an interesting post. As some might remember,I was about to quit about a month ago. I didnt,,some reasons why:I started making some income, I weighed the pros and cons, It has improved my life, I havent spent more than I anticipated, its different, i enjoythe community, like the values they teach, and think the speakers are insightful and motivational. I find value in this business. On the other hand if.they were still with monavie I probably would have quit, just because of the affordability issue and not many people can afford the cost of the drinks. so why the change? I was told it was to lower the costs and.so team could.have there own company. So to me, maybe team is changing to a.better company for people to spend less and make money faster. So far.ive.found that.to be true. See I dont have all the facts, why should i believe this site? Isnt this just another form of gossip? However I like to see both sides of any story and every leader figure in history has controversy so Im trying to read in between the lines of what is true and false. Id like to know some of the things said that made u so uncomfortable from the leaders. Remember this to the uplines are.different and corruption can come from certain uplines to which could explain some mixed messages. No one ever told me if I quit I was a.loser or I had to buy more cds on my upline team to be successful in this, did they promote them yes, of course thats the.product to sell it and.learn how to sell it. People act on here like they force feed u stuff. Its an option. Let me correct myself: They.are still with monavie, but they made it an option. lol. Ok now I am a bit confused here. Chris is implying that TEAMscam is it’s own MLM? That they are definitively either not with MonaScam, or that the latter is in fact optional? Is this the case? Per FTC rule MLMers are to sell off 70% of their MLM wampum monthly purchases to real 3rd party customers, correct, not 100% self consumption as is widely the mlm norm. If TEAMScam is it’s own mlm then what primary product or service do they have that they peddle to 3rd party customers to fullfil this legal requirement? CDs, books, meetings? Those are secondary to mlm wampum, predicated upon existence of a primary product/service, and justifiable only as support materials to the former, think aides to build a business of selling primary product or service x. Isn’t this then, not a flagrant violation of the law? That is, that they have not a salable product/service at all with real value to 3rd party customers? And therefore by definition, TEAMscam is nothing but an illegal pyramid scheme peddling not a primary product but a secondary one to it’s adherents? I mean is this for real that this is what TEAMscam is? I have seen some of your previous comments and the accompanying warnings and/or advice from others to you. I am following closely your journey, if I may, of MLM self-realization. It may not necessarily be a mistake to join or not join TEAM or whatever MLM, for you. However, the biggest mistake you will make in life is losing critical thinking, whatever you do or join. Good that while you are over at TEAM, you are here as well reading. Keep observing both sides and don’t lose critical thinking. It’s the only way you will know you made or will make the best decision later. At some point time will prove your decision right or wrong. Keep us posted. I believe you nailed it! It is its own MLMscam and always has been. They just remain attatched parasitically to MV. But obviously aren’t ‘loyal’ to Dallin & Co. (something they will eliminate others for; use every slimy trick if they think someone is being ‘un-loyal’ to them, the hypocrisy is disgusting) and I don’t believe they ever have any intention of ever going back. Orrin got what he needed and Imo, just like everyone when he is done getting what he wants, he disposes of them. Chris knows he said it right the first time and then realized oops better re-word that one! They wouldn’t want the real truth in black and white. They claim their ‘product’ is the Team (community building) LIEf (religious & ‘leadership’ materials) which are the same as they have always been they have just separated the 2, and I believe it’s because they raided and re-arranged their own leaders down-lines once again and knew they were operating illegally before so no doubt they needed to ‘protect’ themselves from any lawsuits they know would be disaster if not the death of their little scam. It is disturbing how they have got away with what they have. It has become harder and harder for them to hide with so many people exposing their dirty little secrets, so then they have people like Chris promote them as they have ‘changed’…lol. Of course they have changed, they change like the wind but only because the Truth is forcing them to ‘change’; or become better crooks and cover their butts to keep their scam alive, Imo. They have been ‘changing’ since the Amway days, which is what they claim their system does for others. I personally see how they have ‘changed’ (for the better) in any way and they have a whole wake of destruction in their ‘history’ to show how effective their decades of them changing works. What is your (truthful) ‘goal’ for sharing so much of how you feel about the ‘leaders’ and the wonders of your cd listening on this site? Chris, again, have you read the Lief P&P and the Comp Plan Analysis or the Bite Model or do those facts not interest you any? We will see if you answer the questions, why don’t you spend time reading it then get back to us. And you say you were going to quit but then started making some income? Chris, why don’t you share with us exactly what you ‘spent’ and how much you have ‘made’? And the cycle continues. Orrin quit (or was punted) from Amway because the high product price got in the way of his back pocket. When you are getting kicked out of Amway, you really are putting yourself out there to be questioned. I certainly don’t see everyone drinking Monavie now on all those moronic Youtube videos anymore. Chris, why don’t you tell us all when you retire? BTW, you realize you are breaking LIFE rules being here, right? Only Orrin & his buddies are allowed to do what you’re doing, although they usually end up slinking away when the facts are handed to them. Granted that they can sneak this one (the TEAM/LIEf self mlm scam) past FTC for sometime but why would anyone join this obvious ponzi scheme? To learn leadership? Heck what are librarys, leadership seminars, John Maxwells, Amazons, etc, are for? Either this O dubya guy has a pair of krazy stupid steel ones or he has figured out those who can be had*, that it takes FTC sometime to catchup, and by then he will have scammed enough off of teambots to settle, cost of “business” you know. They don’t because that would not be a business! But a ponzi/pyramid scheme! So why would people participate when a kingpin forms a religious & ‘leadership’ materials MLM unless they have met with intellectual castration? Is it not obvious that this is ridiculous and not a viable market worthy business? Religious & ‘leadership’ materials constitute not an MLMable product! They work their place into pretend MLM industry as support aides, tools, whatever. A religious & ‘leadership’ materials MLM? That’s a farce! and people join this? I am flabbergasted! I mean Teammunists don’t see through this farce? Oh Ding! (hitting my head) Teammunists done lost their critical thinking due to intellectual castration by their kingpin and ahem, leaders. I can’t think of any other reason whatsoever, of teammunists continued “loyalty” to TEAMscam. None. Neither can I imagine that one would forge ahead right into this scam crap, no matter eyes wide open but obviously without sight. Ha! I can’t help to remember this from a scAmway kingpin of years yonder, that eating from a garbage can sure you may find some edible stuff, but that doesn’t negate that you are eating from one. And I am very very kindly, just saying. Now you can see that I still find handy some of the “nuggets of wisdom” I expensively learned as an ambot. Thus, the common MLM lie that MLMbots find value in MLMscam cd, books crap, that they make you a better person, etc. MLM kinpins do one thing best they twist principle to self serve. It’s in line with how to become a successful kingpin that is “lie, manipulate, be a phoney and consistent”. So newbies and most other mlmbots buy into a perceived value angle of these scam wampum. But does anyone think I could have found out cheaply the same “nuggets” from say a John Maxwell book from Amazon or free from my local library? Heck or even attending a motivational event. Ain’t no need to MLM that process that I can see, while handing over my money and brains to somebody. Forget that. And I also know I don’t have to belong to a commercial cult for me to get it (that same “nugget”) from the same freaking book ex Amazon or the library. Exambot- John Maxwell’s products can survive on the open market. Orrin’s cannot plain and simple. That’s true. His product and service holds the market all on their ownself, no farce of an mlm required to move it. But that somebody figured to create an mlm to sell his pretend religious and leadership crap, sprinkle some established names like Maxwell, Og, etc to bs he be authentic too, that’s some bullshizzle. And I ain’t buying; I’ve been done supporting their life style with my money. Katie – First off, thank you for putting the time and effort into sharing your story. Bravery for sure. “Sections 55 and 55.1 of the Competition Act are criminal provisions addressing multi-level marketing and pyramid selling. Section 55 prohibits operators or participants in a multi-level marketing plan from making representations relating to compensation without fair, reasonable and timely disclosure of the amount of compensation received or likely to be received by typical participants in the plan. Section 55.1 of the Act provides that a multi-level marketing plan that includes either compensation for recruitment, required purchases as a condition of participation, inventory loading, or the lack of a buy-back guarantee on reasonable commercial terms, constitutes a prohibited “scheme of pyramid selling”. I’m no lawyer, but I noticed on the LIFE Member Registration Form that “Applicants must purchase a LIFE Business Starter Kit”, active word being ‘must’ to become a LIFE Member and in the LIFE Compensation Plan the Member Commission Bonus’ are “…earned monthly based on subscription and product sales volumes…” I assume subscription in this case means that of the LIFE member, i.e. you must be subscribed yourself in order to be an active participant in the Compensation plan, ergo you are required to purchase LIFE products as a condition of participation. I welcome any- and everyone to correct me if I’m misinterpreting this or perhaps to shed some light on how this ‘business’ skirts around these sort of regulations. Good observations + question Natalie. I consider myself no worse of than an average bear browsing in my neighborhood forests, so I will advance to you that your interpretation is dead on and you are pre…tty smart! 🙂 for not a lawyer yourself, no matter, but I suspect you thinking for yourself will not endear you to pretend “MLM industry” at all. If I was a kingpin oh lord hell no! Say A kingpin who wants to “skirts (sic) around these sort of regulations” knows this is a game, knows it well and also knows well the policing authorities so as to play up to them before they are on their radar and they come down hard on them. So here’s they do it over here – Goal it to scam I mean make lots of $$$, retain resourceful lawyers (read fund republicans, no care for doing the right thing, etc) to keep the kingpin separated/away from the “slow to act as is slow a ship to make a u turn” FTC radar for as long as is possible, then donate some of that income, no loot to the same republicans, directly or through some type of so called pretend “industry” lobby group. Thanks @webelieved and @freedomhaha for replies above. And thanks to Katie for her honesty on this, too. I know a lot of you have posted about big $ losses before, too, and every little bit of info helps paint the picture. My relatives have been involved for less than a year (no TEAM, tho), so Katie’s and @freedom’s stories give me some perspective, and I certainly hope they never see the losses that some of the rest of you describe! I’ve said before that it feels like I’m watching a train about to wreck or something. Hey I just say your 12:09 pm. It’s a good thing we can laugh about it now. Should be a scary thing for those walking in, or in already. Try as I might, I find not enough words in lingua English to express fully how I feel about loss of brain and time. It tears my heart apart now when I see the lie perpetrated on others, no less than it did when I had my own MLM self-realization moment (the moment we get slapped right up inside the head from the slumber). The longer they are in the more likely their MLM self-realization moment will be a bigger “train wreck”. Make sure to be there when it wrecks, to offer understanding only and not a I-knew-it thing. In the mean time do not confront or challenge. Be educated about cults and MLMs – past & present. From an informed perspective only then can you ask calculated, thought provoking questions – those will be you planting seeds of critical thinking, a sad thing to lose in life. Warning: Make sure the barf bag is in a close proximity. This is apparently how it’s done according to Mr. Strategic Default. (George Guzzardo). Amazing the hype.. A 17 year process that is “Almost impossible to duplicate?” You have got to be freaking kidding.. LOL.. Wow amazing after 17 years of plagiarizing the Amway system and now it is almost impossible to duplicate? Notice the comment about the FTC! Amazing ‘health & fitness’ but apparently are too embarrassed to say it is Monavie? It just keeps getting deeper, a need for the extra high waders for this one.. “The Biggest Infections of Disease in our Mind in the Western World… Is the Media=Propaganda machine!! !” As the propaganda machine= George’s mouth continues running, unbelievable. If you can stomach the rest of the BS…I am looking forward to some others comments on this one! @Chris, as far as the things I heard that made me so uncomfortable at the Major, I’d love to share that with you, but probably not in a comment. You might be able to email amthrax and he can get you in touch with me. I’m glad you’re having success with TEAM, I didn’t, and it’s why I quit. I did not fit the typical profile of someone who gets recruited to TEAM, and while I will definitely say that I gained a lot from reading some of the books (like the 5 love languages, personality plus, and some others) there is no reason I couldn’t have gotten those books for free from the library and NOT been bothered with spending $5/week, $25/month, $125/quarter for tickets, plus the gas money and the mileage on my car. You are absolutely right that these things are optional, but if you haven’t heard someone say you have to “sell out” to the system to succeed in it, then you haven’t been listening – and “selling out” means buying everything, going to everything, and spending money on everything. Wow that video of Guzzardo was painful. It seems as though the prerequisite for being a speaker at these events is the ability to talk enthusiastically for at least 20 minutes straight without saying a single thing of substance. Really, it’s astonishing…just a bunch of buzzwords like “purpose” and “significance” and “leadership” tossed in a word salad of nonsense. Painful indeed! Listening to it and even more painful for those being subjected for hours by many speakers saying the same with their own twist, during that one weekend, which leads to the same mind numbing, (cd listening & seminars) Day after day, week after week, month after month, for years! Speaking of ‘propaganda’, what they would consider their ‘leadership’ and or to put it from George..’superior knowledge’ (brainwashing), it’s no wonder people are messed! Unfortunately, regretfully, shamefully, and painfully; many hundreds of thousands churned, including us, were exposed to that garbage for years! Or he says it in many ways ‘superior knowledge’ or The Team has assembled the greatest minds, EVER, in the history of the world! or it is a ‘melting pot’ or the vague and misleading bs he throws out there in the video. Very narcissistic (he makes the joke that he ‘was’ ‘a legend in his own mind’ referring to before he ‘didn’t know what he didn’t know’ or got the educated leadership and mentorship, ha! Extreme Control freaks, based on my experience and opinion. That’s exactly where I am – I’m “in the mean time.” Others here kindly gave me this exact advice last year and I have followed it. I’m waiting for that moment of self-realization as you call it. I never thought it would take this long, I must say, but that’s the sickening part of it: the scam and the brainwashing actually work! For the benefit of other readers let me add that when I first read this site (and others that expose the scams), I really did imagine that the cult/brainwashing talk was likely a bit dramatic. However, since then I studied up; the info is easily accessible. As someone who has never played and lost in mlm, let me say that, if anything, the cult aspect cannot be overstated and is generally underestimated. And that’s also part of how and why the whole ridiculous confidence racket works, of course. Sigh. I still check back here from time to time because I find bits of info that help me make sense of . . . well, the otherwise senseless. @exambot n- Thanks for the insight. You’re spot on Man! “Thank you for the information you provided regarding L.I.F.E. L.L.L.C. We have reviewed your information and determined that the matter you have raised cannot be addressed by the Bureau at this time. The information you have provided will be recorded and entered into our database and it may be used to develop or support future enforcement activities under the laws we enforce. The role of the Bureau, as an independent law enforcement agency, is to ensure that Canadian businesses and consumers prosper in a competitive and innovative marketplace. Information brought to our attention by consumers and businesses is very important to our work as it contributes to the identification of marketplace issues. 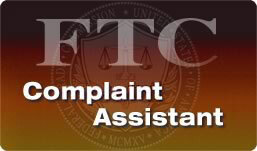 Due to the large number of complaints we receive each year, we are unable to resolve all of them. As a consequence, we have established criteria for the selection of cases to ensure that our decision to pursue or not pursue a particular case is exercised in an objective and consistent manner. I know that Claude has held fundraisers for Conservative Party of Canada (CPC – Canada’s equivalent to the Republican Party) at his house for his ridding’s candidate last election. Pretty much the same deal up here…the CONservatives are the big business, no regulation party. “We consider, for example, …consumers … adversely affected, the financial loss caused by the practice…” Enough said! That gnat is the cause for no government action. I am not sure if enough ex-mlm people don’t use them and of course they are always up against that same gnat. Anyway it would do no harm to flood them up-let’s use them people. I thought you looked out for me! You know friends don’t let friends do mlm, friends don’t let friends watch … LOL. I had to stop yesterday and it took lots’a gumption to complete it today. Gah-Dang! that was so torturous! But thanx for that link (and ut) there’s the evidence of charlatans doing what they do. Ok now. Let me tell you what these functions are. Re-education camps! That’s right! I know one when I see it, no one can put it past this bear. LOL The attendees have to be re-educated (oh scratch that political correctness), attendees have to be brainwashed into another way of thinking to morph into TEAMmunists. Let me prove to you that this bear knows a thing about cult or mlm cryptography i.e. code talk of the ha, mlm elites. He said “…classics are medicines for our thinking…build numbers, create a culture.” Real talk? That’s code for indoctrination. More proof? He said it his self when railed against the imagined enemy, the media propaganda. He said of media and current affairs “we are encouraging you to turn off that channel and turn on this channel”, equivalent to don’t think, let us think for you and set your agenda. Listen, who controls that “encouraged channel” is not o dubya and his sycophants, no sick-o-toadies? What they want from them teammunists community? Love? Hell no. Their DOLLARS that’s what. Anybody in doubt? This fraudster does a good job at recycling mlm lies, “buzzwords salad of nonsense” (thanx Vogel) and no doubt he reads from the standard issue mlm bible with the how to succeed in mlm commandment – thou shall hype, lie, manipulate, be a phoney and consistent (thanx JoeCool). Do you go to work, job or bizz? Ok. You know what you need to do to bring the bacon home, right? Ok then. That bankrupt “strategic default” fraud teacher is just “at work, working to bring the bacon home” and knows what he needs to do to get it done. Don’t think oh he loves the sheeple that’s why he speaks on stage. He is no different than some pseudo christian preacher on TV asking for your dollars for blessings quid-pro-quo, same thing they doing. He is working the stage. The sad reality is it’s real people who have to bear the brunt of his deviousness! You know as usual, any good thing that can be abused by some idiot, will be. This here proves no exception. In fact these idiots are actually excited while conducting the abuse and teammunists are in a frenzy in this re-education camp. Then he has the audacity to mention critics! Ain’t no critics if you done told the truth. Hell I wish I can let loose on his a$$ on that stage! Just a mic in my hand and they will be out of ha “work”. And teammunists will snap out of that mlm cocoon slumber! Ok may be if not a stage, how about turning on comments at their blogs? These gnats are scared of teammunists knowing the truth. They done created a 1984esque bot state right smack in our midst! What the hell!!! Last word on functions: Re-education camps! About media propaganda – I know it when I see/hear it and I don’t need to pay no charlatan to think for me that it is so. My remote has a channel flipper. And when Madoff crap is on I know I want to know about that. It’s called current affairs. It’s necessary living in real world cos the latter ain’t a cult, life is for real. That’s I am able to pick out lying charlatans, be they moons, hinns, mlmers, madoffs etc. and decide to show my money where to stay at. So let them stop hating on me, I ain’t just a critic though I don’t care. I am but a truth teller. The inaction by regulatory authorities is frustrating. The MLMs pervert justice by coercing politicians with campaign contributions, so that in exchange, those politicians will work hard to make that consumer protection agencies get defunded and consumer protection laws go unenforced. The regulators need to be shamed into action so that it becomes too much of an embarrassment to ignore the problem. Two ways to accomplish that are: (1) get the news media to devote some attention to the issues; and (2) show up en masse at the Bureau of Consumer Protection, FTC, and FDA HQ and be insistent. Squeaky wheel gets the grease y’know. Love your analysis of Guzzardo Vogel…………Right On !!!! If I’m not mistaken, that’s Rod Taylor’s site. I could be wrong but I think his site isn’t too bad — anyone else know more about it? It doesn’t seem that he’s a total whore for MLMs like Dooley. He really should do a website overhaul though. It looks like he went for the generic “conspiracy theory” template, so I’m not surprised that the first thought that struck you was “scam!”. The ‘real education’ for me now; when ‘Watching’ these cons, fraudsters in action, ‘working the stage’ or ‘working their job,’ mixed with a lot of hindsight, is so crystal clear and disturbing at the same time. It sure is ‘loud’, especially after the fog has lifted and you can return back to earth from the trip of Illusion and fantasy world; *I can remove the deplane, from my ‘dreams list’..lol. I am extremely grateful that the scales have been removed, and the continuing education on cults helps too, I must add. These scammers put the Nigerian ones to shame, they are complete amatures in comparison! As always I appreciate your humor and ‘truth tellin’. I love this blog for many reasons but hands down, you can’t beat the ‘real’ support, the truth, the humor, and those who can articulate clearly or your great analogies’ from the commenter’s on here, which fit these fraudsters like a glove. I feel your frustration. The fight continues I addressed the agency in my state; I got a very empathic ear, but basically was told the same thing. It was appreciated but that doesn’t get the job done! So, therefore, I am not done and have some more work to do. I am beginning to wonder though if they should change the name from “Consumer Protection” to MLM fraud protection or least that is the feeling of frustration, and to use the rhetoric..NO EXCUSES. I feel your pain. I do know what you are saying and it is hard to gut, you are right they are the most arrogant egomaniacs and am glad to begone and don’t miss them a bit. I do watch with a different lense now, Thank God, I can actually see the game, but should have put a ‘warning label’ in that post; watch at your own risk or don’t watch this at home…haha. Being compared to the president is not a good thing, it is analogous thug…….the country id going into trillions more debt every year due to the current and pasty presidents and Orrin is driving HIS teammates further into debt with and empty business model……….It would be great to hear them say one time in public what they say in private at the PC meetings……..that they know the model is fixed for the one per cent…….How do we know that is what they say in PC meetings??? Cause they have admitted it just not to their masses…….In the end it is okay, they will not live into old age with the money they now idolize……..rest assured they will fall, arrogance and pride always do. And what about the shame their kids will one day know of their parents???? Wonder how that arena full of ;Doctors, Lawyers Politians’ would feel about them knowing these scum bags are behind closed doors admitting that their money is being had and they will never get what is promised or even spoken from stage. And then you have the majority who cannot afford to have a dime swindled from them.They have no conscience. I am with you pride and arrogance will be their fall…but even more they should be fear losing their money and as you said what legacy or how will they answer in the end. The truth is gaining momentum and it is obviously catching up, seeings how they like spending all their time trying to scheme on twisting and silencing the truth, would be evidence that the truth is catching on. Meant to say that they should be fearing more than just their money! They have a lot more than that to lose. You are right on as usual Speak. they know and havd admitted that they know 95% will never make it…..their answer is to blame in on the person and convincing them that they “haven’t read enough” or ” haven’t shown enough plans” What about those who have been in for ten years and have been at triple 100 and are now making about 10% of what they used to??? They are lying about incomes at the top and they know it. If it was so good they would parade around those same incomes, but they can’t and won’t because it will be the ned of them. I would love to be silenced by them showing us what Kirk birtles made for the last 3 years……We know what Hubers made and he had Tim and Bill in his downline. Well we all know the truth and so do they.the difference is we are not hiding it……. Finally- That’s what kills me about this site is that they have the power to shut us all up if they revealed the numbers. I personally would stop commenting and apologize if they could prove that the comp plan isn’t as bad as we say. They could also prove that the whole bankruptcy thing is false too…. We’re waiting. I totally agree. With team it’s like the master con-artist (PC) commanding their victims to do their dirty work while they lurk in the shadows (licking their chops) and waiting for pay day. I can’t wait for the day someone comes knocking at my door with this new life “deal”. Switch- I also cannot wait to be contacted!! It will be lots of fun, but on the other hand I hope I never see anyone I love infected by the TEAM/LIEf cult. If you’re worried about your loved ones falling for it, I would make sure to sit down with them and talk about it. I’m 99.9% sure they’d be willing to hear you out too if you show them the facts. I think we all know that we can’t make their decisions but that doesn’t mean you can’t tell them about your experience. Tell them honestly, and I’d find it VERY hard to believe that they wouldn’t take your advice into consideration. Pretty much the only thing you can do. Yep, as far as sitting down with them, that would be a great thing, Mesha. I would vote for a one on one with them. I believe that would be the most powerful. So far not one person, not even the great Randy Schroeder President of Monavie north America and Europe, has done anything to counter what I have said other than to insult me or question my success. It’s classic MLM strategy. Absolutely laughable. Hey what happened to all the Liefer’s that can on here when they got their first checks??? They bragged about how great it was but then we never heard from them again………I do know why cuz I still have contacts that are in team and they have told me that even though their first check, that came from the restructuring and re-registering of their teams, was at least decent, the checks have gone back to a small percentage of what they put in. So it is just like all on here have said. Again here is ample opportunity for the team to shut us all up and prove that team lief is what they say and not what we say. Show us the money………..I know there has been zero net growth since 2007…..they do too……but they will not admit it. The funny thing is that they were bragging about controlling all 3C’s with team lief……..before it launched, promising every body that controlling the 3C’s is what would fix what was wrong with the MLM industry. Well now they have 4 months of controlling the 3C’s and there are not growing……….I wonder why??? I know what they will say…….”It takes more than 4 months for a business to start returning profit” That it not what they said prior to the launch……….Where do they go from here?? My guess is that in another year they will jump on with another product line and sell it as expanding their community in a logical manner…or some other BS. I don’t recall any of them said it was ‘profit’ either. Should have said ‘seeing’ the reality much quicker! Nice thread Michael, has anyone looked at this yet? My best friend meet up with a friend he works with the other night to attend a “life business seminar” I have listened to them on YouTube and read about the “life business” that I know he will join hoping for quick money and success. I don’t like the sounds of it and really want to guild my friend away from it before it consumes his life and his time with his family as I have read about. He has had trouble with his relationship with his wife and 2 young children for awhile now and I think he has been told this will change his life for the better, they care and will help him be a better person, sounds like a cult to me just brainwashing people. Any advise I could give my best friend to help him see this is not the help he needs would be greatly appreciated. I love and care about my best friend and don’t want him to sink any lower from some scheme. Thanks for your help. 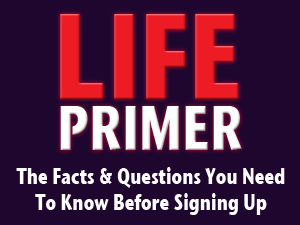 @Jim – Read the 50+ Questions Post and the LIFE/TEAM Primer to get some good questions to ask. Please print off copies of the 50 questions and the Primer. You have a great opportunity to save your friend from something that could have drastic affects on so many areas of his life. Go to the meeting and challenge the speaker in front of everyone to answer the hard questions. I had a long talk with my friend last night and he was ver defensive, saying I didn’t know anything about it and he wasnt interested in hearing the negative comments as I figured. He did say he would take me with him to the next meeting so I could hear all about it andbi would change my mind, but I won’t change my mind. He hasn’t joined yet, still thinking it over but wouldn’t tell me when he has to meet with them again to give his answer, he won’t tell me. I told him the help and support he is looking for he won’t find with this group of people and he wouldnt tell me who approached him and what they said to him, he couldn’t remember and couldn’t give me a reason for what exactly made him take interest and go to a meeting at a co workers house. I appreciate all the help and advise your giving me as I’m alone on this trying to save my best friends life from being totally ruined. Thanks so much. Please! Try and get to that meeting! and bring printouts with you. I will try and find out tonight when and where the next meeting is at and i WILL attend with my list of questions to ask. My friend said last night that he isn’t stupid enough to get drawn like other people, and I told him he is very vulnerable right now with things not going well in his home life and I’m sure other people said the same thing he was saying. Is there anything I can say to him or tell him that will really make him stop and think about what he is doing, he told me he just wants to try it and if he don’t like it he will just quit, but I don’t think it will be that easy for him to make the right decision once he joins, I’m sure there is pressure and brainwashing that they will do to try to make him stay even when he wants out. I wish there was majic thing to say. Use your best judgement, you know your friend better than anyone else. If it is “money” he is looking for read the LiEf P&P orrin can take it anytime for any reason, even if his spouse says anything negative or he comes on this site and comments! Watch the Comp Plan video’s; it will give you the ammo you need. If it is to better himself or relationship, he will be spending lots of money that will probably cause more problems, when he could check books out at the library or go to ccounsler or Pastor. Good luck, whatever they promise ask them to show the facts to him…if they make income claims.. their income taxes, how long they have been in, etc. How long does it take to get to 300 people because that is what he will need to cover his $50 LIEf supscription, etc. I respect your work to save your friends life Jim. Please keep us updated. @Speak: even if the spouse says something negative? Whoa….there might be hope yet for getting my kid out of it….the spouse has got a mouth! Maybe that’ll work to our family’s advantage, too, finally (very very big grin). Jim I am proud of you for having the guts to take the questions and care enough for your friend you want to help. Just a warning they are masters at “shutting people down” with their thoughtless, memorized jargon. They have many of them. Find on here in the Archives the Demands and Team Speak Post, maybe Amthrax could help. I tried finding it and don’t remember when it was written. You will be fully aware of a lot of their stop thinking “handling (your) Objections” they even have a CD for this!People are trained to answer your question with a question and they get a lot of the same questions and have rehearsed comebacks. They all same the same things! @Jim: gosh, I read your post of Sept 17about 8:35 or so pm……..you could actually be talking about my son when it comes to the marital relationship… (not saying you are speaking about him, of course, BUT, I find it interesting that people with certain “needs” would be drawn into this organization). Other things you said, too, like the evasiveness and defensiveness are the same, too. My friend said he would find out when their next meeting was from the person that approached him at work and let me know. Well when I asked him about the date he told me that it wasn’t the person from work after all that he has to ask about the next meeting and would have to call this person to find out, but I feel that he is now against me going to the next meeting and avoiding telling me the date so that I will not attend, hmmm, there must be something he is hiding already, as in it’s the meeting where he will sign his life away, but I’m not giving up that easy, not me. His first meeting was this past Sunday evening so I’m thinking that’s when his next one is, not sure if they actually have set dates and times each week. I wish I knew who the person was in this area that he would be reporting too that way I could plan on going by myself and surprise him when I show up after his attempts to keep me from going. You are onto your friend and them. That is so funny, just act really interested, ask for some Cd’s to listen to and wham they will not stop inviting you…haha! BTW usually they have an every Tuesday or every other Tuesday night meeting at 8:00 in someone’s house or in a hotel. If you know of anyone else that is in your area on the Team they would be glad to invite you but I like your idea of inviting yourself…haha! Show up and tell them the person who invited you was a loser and didn’t show up…haha Just kidding. Leave the loser part off! 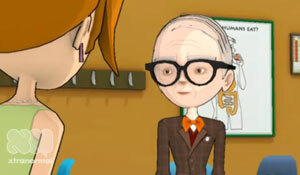 Jim: your friend got just like my son did…and very rapidly….even from the first big meeting my son was at…when he did the obligatory calling of 5 people right from that meeting, he would not really answer my questions….and from there on in, during the following few weeks, he got even more secretive. They warn these prospects up front not to believe in this Amthrax website and any naysayers. Our family went from being “on the same page” in life in July to being put asunder by August 10th. I made some mistakes…I should have kept quiet longer and gone to that meeting he wanted me to, just so I could point out the foolishness later, but I just couldn’t “play along” , feeling phony, but maybe I should have, because now I’m in the dark here. He works nights so the only time he has time to go Is either Saturday, Sunday or Monday evening when he is off. After realizing he was trying to avoid taking me I did make it sound like I was actually interested and wanted to learn more and he bought it and said he didn’t think I was really serious and said ok to me going but still I have no day or date so I will ask him everyday until I get one,LOL and I will deffinetly be around before 5pm Sunday as that’s what time he left his house last week so I’m one step ahead of him unless he goes a different night but I’m not going to believe him 100% for he is pretty sneaky. Jim: I finally “caught on” for good when my son got me to babysit even longer one night….in the end, I didn’t even know where he was—and I had his 2 month old son (I consider that irresponsible). After I learned all if could about the biz, and he called trying to give me the pitch, I said “no” politely and tried to get him to read the facts on the biz….he ended up screaming like a banshee over a phone where i have to use an assistive device due to hearing problems (I consider this worse than what a non-friend or even the rare “enemy” might do), and I finally told him to be home once (he was starting to be gone more and more to meetings, etc) and take care of his own children…..it escalated from there and ended, at least temporarily, our family relationships. BTW, he and his family were so hard up for money, between Dec. and July 4th, we gave them over 10 grand in vehicle and cash–we did this willingly to help make things better for a couple nearing 40 who were just beginning to have kids in this economy, but we sure didn’t expect the degrading screaming we got, Long story. J@im or @James? Are you both the same? Anyway, I think Jim posted that he might go to a meeting with his friend….be careful there…because this is what happened to my son one of the first times: his immediate upline made him sit down and call 5 people…I was one who received the call. At that point, my son was so ignorantly confused, that he sounded as if he was trying to sell me a book….which I agreed to. Later, I found out it wasnt a $50 book…it was my first month’s membership! He also had to convince 5 people to come to the next meeting with him. So if you are going to go…have 5 family members or friends forewarned that you might be calling and spewing the joys of this organization? My son, too, had a sudden change of dress and clothes (see the thread about warning signs you might see in a loved one here on Amthrax–that info at the top is about our son)…but the most change was in his demeanor—it was so controlled and phoney that one time I actually had to chuckle. Picture it: a man pushing 40 calls his mother saying: “Good evening, Mother; how are you? Did I call at a bad time? Oh, no? Well, I’d like to tell you about something really special….” and I’m sitting on the other end, laughing, saying “O.K., son, what do you WANT from me?” It’s just so phoney…and then, at the same time, there’s more distance being made.